Pranqster, can you tell us more about the 6Cup and RSR engine? How does it run, maintenance, fun factor, etc.? 996 GT3 being used for *gasp* a daily driver! I know, I know, using it purely for street is blasphemy, but I already have 1 full race car, and 1 somewhat street legal race car...so what wrong with having such a great car that we can enjoy EVERY DAY?!?! Welcome to the community Bob. 997.1 here converted to non street legal race car. 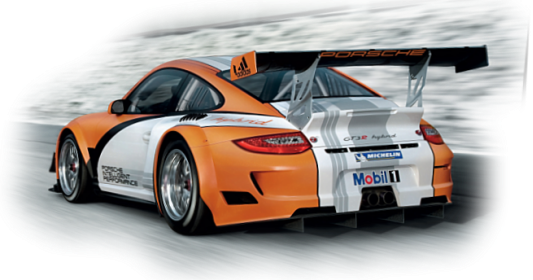 Have owned a couple of 6GT3s and contemplating buying another one so I have a street legal GT as well as the race car. Nice livery, do you have more pics from different angles? Sorry this answer is late. I have been on holiday some of June and some of July. I own an 02 GT3 cup "The Red Cup" that the original owner modified into what is above and beyond a normal world challenge spec race car. It has a RSR Sprint engine, upgraded sprint motor ECU, updated RSR quick connect hydraulic clutch, RSR single plate flywheel, 5.5 Tilton 3 plate metallic clutch, close ratio gearbox, lightweight cooling, electric power brake booster with factory ABS, 3 way motons, RSR perches, RSR spring rates, RSR control arms, 15 inch 8 piston front brembo brakes, 14 inch 4 piston brembo rear brakes, lightweight F1 style alternator, lightweight battery, Pankel axles. And today it still is clean and pristine. Body was dipped red at the factory, Carbon fiber front fenders, carbon fiber mirrors, carbon fiber hood, carbon fiber front bumper with custom splitter, world challenge spec rear wing. I have been using Michelin scrubs mostly so tires have been cheaper than buying MPSC's for my 2004 GT3. With a better driver than I, it should be able to keep up with most of what is out there. I have not had it on scales but it is supposedly around 2600 pounds with fluids and a half a tank of gas without a driver. My mechanic thinks it is putting out 440 to 460 at the flywheel. I have owned since May of 2009. Other than consumables, I had to do a very expensive custom fuel bladder, both fuel pumps, a starter, battery, and a steering bushing in around 25 engine hours of driving. I have not driven any other cup cars but can tell you that the fun factor in the cup is 3 to 4 times superior to any thing else I have driven. I have owned a RUF RGT, and 2007 GT3 RS, and I have driven a Friends Carrera GT to an indicated 192 MPH. I have driven Formula Fords and Formula Mazdas. There is a big cost comes in in having support and it having to be towed everywhere it goes. I have repurchased my 2004 GT3 to drive when I am not driving the cup car, but it is really difficult to drive as hard as the cup due to the racecar versus streetcar setup. My GT3 feels like a momentum car in comparision to the cup. Also I am coming up on the engine rebuild. I will have used it approximately 1/2 of the engine life, so on the pay as you go it costs about $1,000.00 per hour to run the sprint engine (just for the engine rebuild and reinstall). The sprint engines are incredible in the pickup from corners with their free reving nature. I have definately been spoiled by this car. Will you be doing the engine because it's "due", or because you are seeing some degradation? Because it is overdue. Porsche motorsports does not recommend more than 30 to 35 hours on a sprint engine. I am at 44.75 hours currently on the engine. With a Cup engine, rather than a Sprint engine, you can often go close to 100 hours, depending on how it is driven. That is one sweet Cup car Pranqster, thank you for the details and photos. What are the differences between a Sprint engine and a standard Cup engine? And why go with that build spec? Is a Sprint engine a PMNA build spec? My sprint engine is closer (or exact) to RSR specs, closer to ALMS specs like Flying Lizard in a 3.6 liter configurations. For instance rather than a club race spec or a regular cup specification, it is a pure top of the line 911 spec racer engine with the corresponding higher rev limit and lighter internals. Normally that means more horsepower, more torque, more expensive parts to get the horsepower and torque as compared to a lower spec cup engine. It has been conveyed to me that there are so many special parts in the RSR Sprint engines that PMS will not sell those parts to (any?) most shops. I am the third owner of the car. First owner did all of the modifications. I thought that I could get close to 60 hours out of the sprint engine before rebuild, but I was never told that I could. I was always told that anything over 35 hours is risking much. My choices now are rebuild 3.6 RSR spec, 3.8 RSR spec, 4.0 RSR spec, 3.6 Cup Spec, or 3.8 Cup spec. PMS says that the cup engines should only go 50 to 60 hours, but many people push them to close to 100 hours. So I am at a crossroads as to what to do. Currently I have a lot of specific RSR parts including wiring harness and ECU. I am not sure what if anything might change if I went to a regular cup engine. The electronics/ECU work perfectly right now so I am reluctant to change anything there. I am leaning on having PMS rebuild the 3.6 at a Sprint spec (once I save up the money to have it done). 1st post! Mine is a 996. Hello all. My first post here! Have a 2010 GT3 RS and just acquired a 2003 GT3 Cup car.